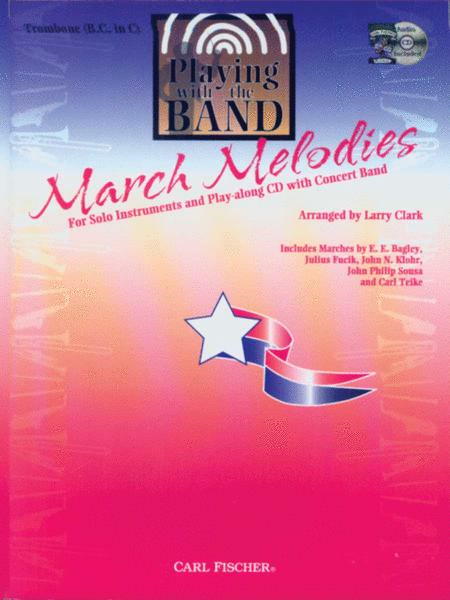 March Melodies - for Solo Instruments and Play-Along CD with Concert Band (Trombone - B.S. in C). Composed by John Philip Sousa (1854-1932), Ed E. Bagley, John N. Klohr, Julius Fucik (1872-1916), and Carl Teike. Arranged by Larry Clark. Book and CD. With Standard notation. 26 pages. Carl Fischer #WF00022. Published by Carl Fischer (CF.WF22).